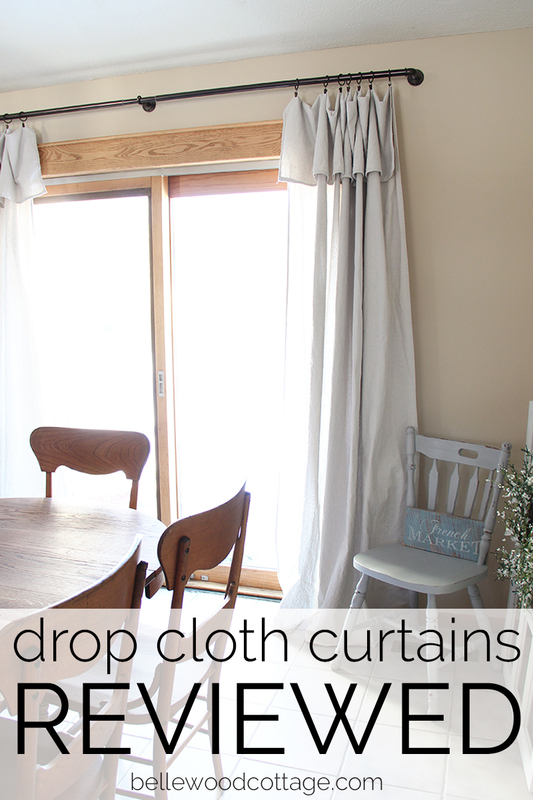 Today we’re talking about how to make those fresh-outta-the-package drop cloths into gorgeous curtains. 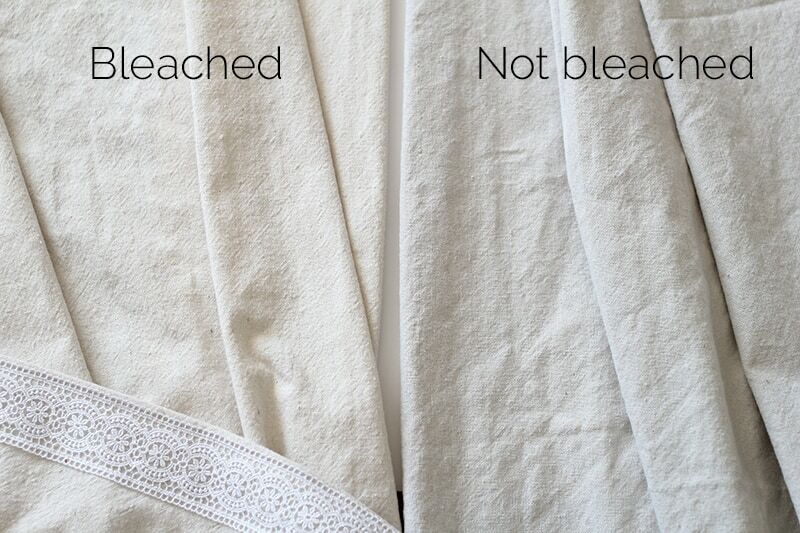 Plus, my experience bleaching drop cloths! Find part 1 of this review, here. I suggest purchasing 6’x9′ drop cloths (I bought these). This size generally does not have a seam (check reviews before buying, especially online! ), which is nice to avoid. Wash & dry the drop cloths to pre-shrink them. Especially if you plan to paint the fabric or sew on ribbon etc. I measured out the fold-over ruffle and pinned it in place before hanging. You can just eye-ball the measuring step, but I did like having the pins in place while I was hanging these! Ironing is totally optional. I didn’t! And, if you end up bleaching your fabric, the curtains will soften up quite a bit, making the drape even better (so even less need to iron!). So now, to bleach or not to bleach? The latter link shows a really stark difference between the before and after, but I got more mild results. This is important to be aware if you are really looking for a bright white. I think the results that Miss Mustard Seed showed are most accurate to what I experienced. Heads up: The curtains in the pics you see here are NOT bleached. I bleached drop cloths for some other projects I have going, which is where the comparison photos came from. Just wanted to make that clear as you look through the photos! Another note, the lighter fabric will make the odd threads of different colors running throughout (I have plenty of black threads and even some orange ones in mine) even more apparent. Totally not a big deal, but again, these are rustic! The biggest change I noticed was not the color, but the change in the fabric makeup. These are a TON softer after bleaching for that long, and they were way easier to run through my sewing machine (for a different project!). All things considered, my before and after certainly isn’t showstopping. I do love the creamy look of the bleached version however, and I think if you wanted to use this fabric for slip covers the change in texture would be an asset. 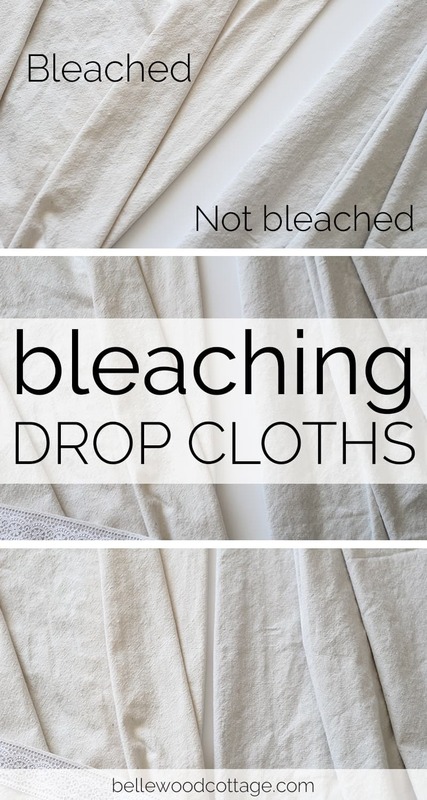 I definitely encourage you to experiment with this if you want to lighten up your drop cloths. Just know that results may vary! 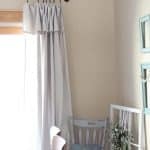 We are so happy with the way these curtains turned out, and they add a lot of farmhouse-charm to our home while we’re waiting to make some bigger changes. 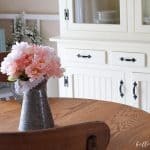 Let me know if you give these a try in your home and what you think! Can you tell me if using drop cloth curtains are see-through or do they block the sun out? I’m thinking of using these in my sunroom but I would like to block the sun at times because it’s so bright. Curious to see what you think. Thank you so much ! Hi Annie! Thanks for stopping by! They definitely aren’t black-out curtains, but part of the reason we put ours up was to minimize the heat/light flooding through our windows. I probably would say they block about 40-50% of the light. Before I put these up I had tried some from Target and TJMaxx and the drop cloth curtains do a MUCH better job of blocking light in my opinion. I think they would work well in a sun room personally. Let me know if you give them a try! Are these somewhat see through at night? I just don’t want passers by to be able to see directly into my living room. Good question! I honestly have never checked from the outdoors to see how much (if anything) could be seen through the curtains, but I would say these are generally opaque. 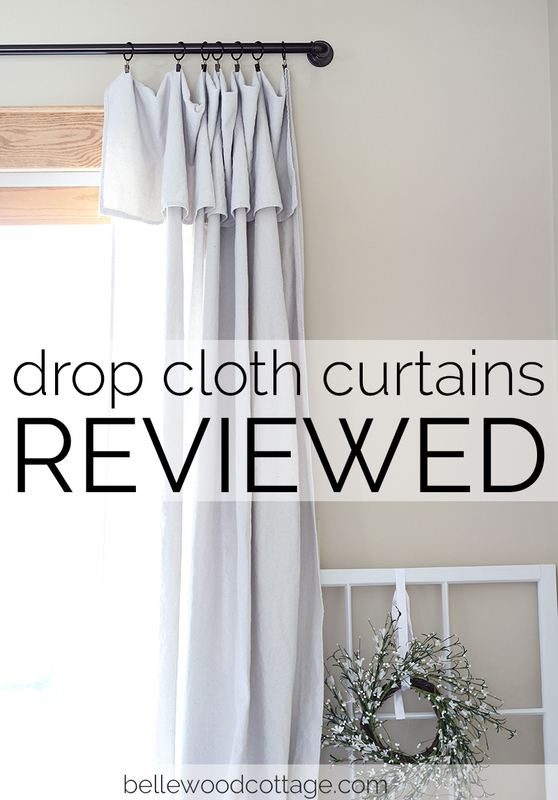 I had previously tried several other curtains from Target/TJMaxx and this thick drop cloth fabric provides FAR more privacy in my opinion. 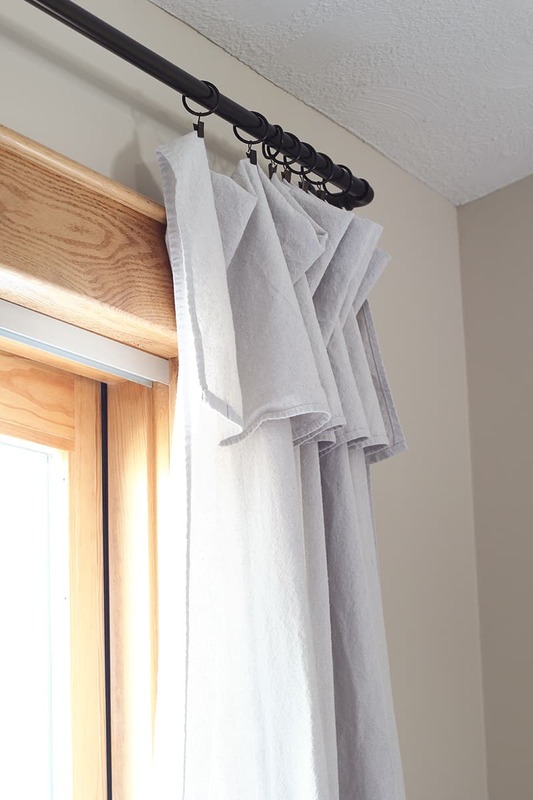 If you sew, it would also be really easy to add a simple lining for “blackout” curtains. 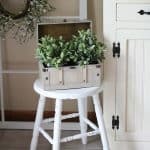 Do you think grommets could be added to the drop cloth panel?